Home » Play » Who’s your BFF? The official Shopkins Top Trumps app is here! Who’s your BFF? The official Shopkins Top Trumps app is here! Shopkins and Top Trumps have partnered up to release the brand new Top Trumps app! Complete all 70 levels of the Top Trumps Story to unlock your favourite characters and our limited edition Shopkins! 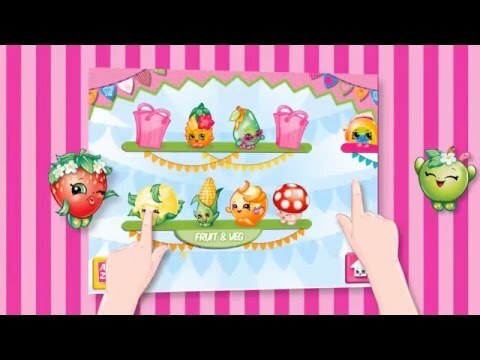 Add in an amazing memory game and color your Shopkins mode, you’ll find there are hours of fun to be had. In addition to these games, fans will also have the chance to learn all of the information that they could ever need to know about Shopkins in My Collection! Sort all 60 cards to find out whether Apple Blossom or Strawberry Kiss is the cutest, or which Shopkin has the highest level of Shopularity. Then put that knowledge to the test in the Top Trumps Story, the more you know about the stats, facts and trivia of Shopkins, the better you’ll become! The app is available to download now from the App Store, so don’t miss out, look for Shopkins Top Trumps now! Don’t forget to check your Shopkins Top Trumps pack for a special code to unlock a limited edition card! To download the game from the App Store, click here! To download the game from Google Play, click here! To download the game from Amazon, click here!